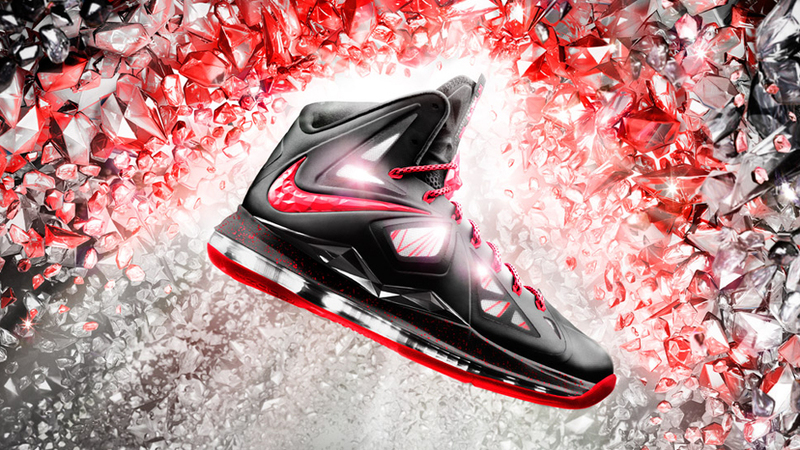 The Nike Lebron X+ is the tenth signature shoe from the human highlight reel LeBron James. Fit for a King, this shoe will assist your game in more ways than 1. The Nike+ technology enable shoes provide you with vital information to track and improve your game using sensors in the soles and syncs directly to your iPhone, informing you of exactly how high, quick and hard you play. It’s like having a personal coach with you every game. Additionally, a hyperfuse and flywire upper provide a secure, supportive fit. Nike’s Zoom Air unit offers you superior shock absorption for multi-directional movement. Nike continues the LeBron legacy with perfection. Another ring could come of this.